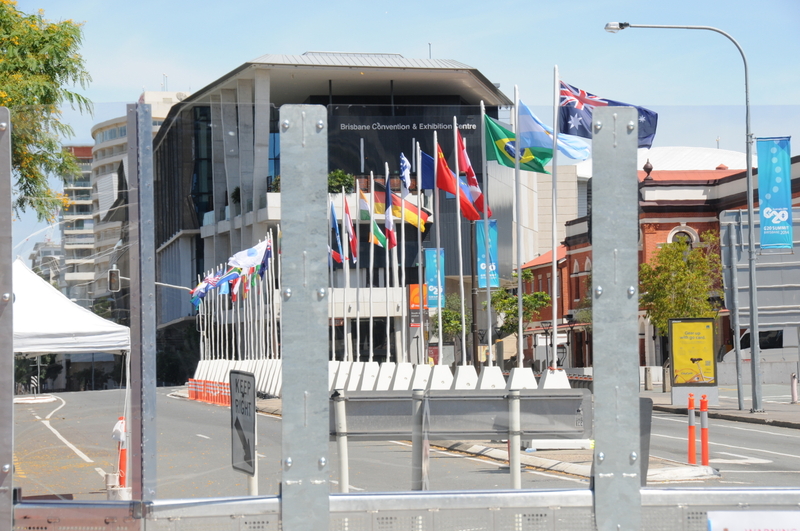 A brand new reinforced barrier system was designed by Mojo Barriers to help keep politicians, dignitaries and heads of state including Barack Obama and David Cameron safe during the G20 Leaders’ Summit in Brisbane, Australia from 15-16 November 2014. With over 4,000 delegates and 3,000 media descending on Brisbane to discuss a wide range of global economic issues, the system was required to create restricted zones across the city and form protective walls around the event’s venues, including the Brisbane Convention and Exhibition Centre. 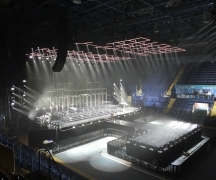 Coates Hire contracted Mojo Barriers to supply and install a unique barrier solution as specified by police and government officials. The resulting product,High Fence, consists of 1m wide and 2.4m high sections of reinforced aluminium barrier – the standard crowd control equipment from Mojo’s product range – with a see-through Polycarbonate upper, which is a durable and high impact resistance material, easily withstanding destructive attacks. Over 2,000m of the product was installed across the city by the company’s Australian team. Doors and gates were also manufactured which integrated into the barrier line, to ensure fire safety and access and egress regulations could be met. Cees Muurling, managing director at Mojo Barriers, explains: “The brief was to create a product to act as a deterrent and keep the public out of restricted areas. High Fence is quick and simple to install, exceptionally strong and durable and the clear upper section gives security personnel uninterrupted views of the surrounding areas. Its unique aspect is that it is not weighted or pinned to the ground, therefore is completely self supporting, and can withstand significant crowd pressure and deliberate attempts to breach the barrier line.